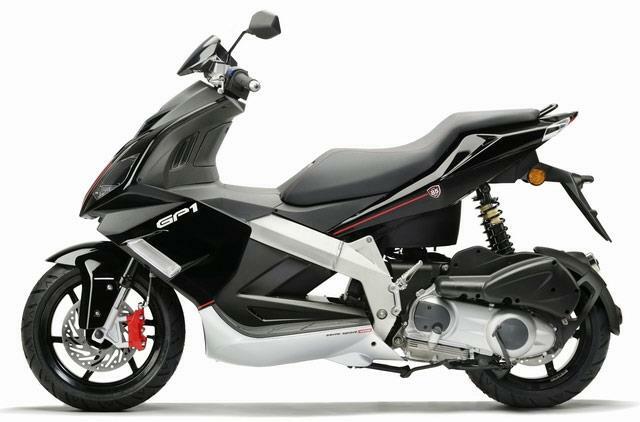 This is the middle capacity in the GP-1 Derbi range and when you hear the spec of the Derbi GP1 125 Racing scooter it’s easier to think of a proper motorcycle rather than a funky-looking twist-and-go scooter. It’s got radial brakes, earlier versions had a single rear shock and it even has a twin-spar aluminium chassis too. Boingy but good fun. The earlier versions had a single rear shock which was less able to cope with big bumps than the later twin shock scooters. Around town the GP-1 is more than able to handle carving through traffic. It can get a bit out of it’s depth on bumpy British back roads. It’s a 124cc four-stroke single cylinder motor which puts out around 14bhp so don’t expect a performance machine. It is more than powerful enough for the rest of the bike however and is shared among many of the rest of the Piaggio group in various Vespas and Aprilia scoots. Look after the motor with regular servicing and it will give you years of happy and reliable miles as this has been in many other scooters and is well proven. Quality is as good as you would expect for this sort of money – it’s not up to the best Honda standards but way, way, way better than cheap Chinese stuff. 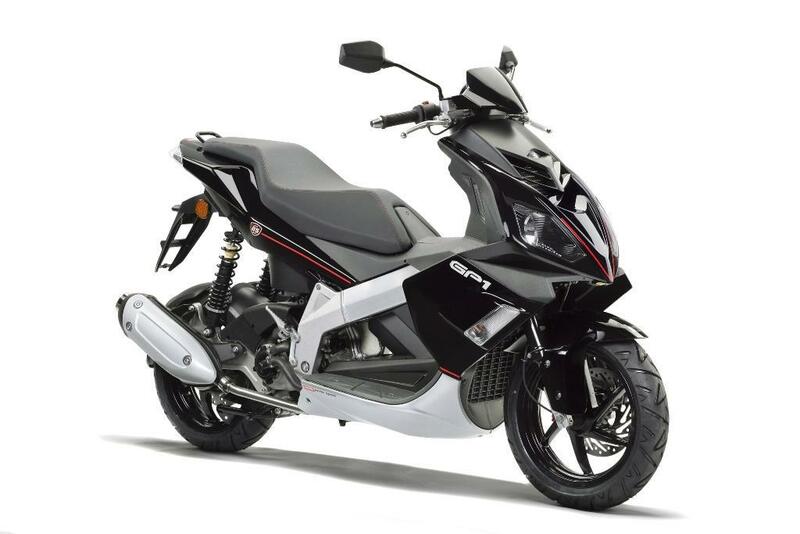 Compared to the Japanese scooters out there the Derbi looks like good value at £2495 except when you look at the bigger 250cc brother which is only £500 more. If you want a 125cc machine then this is good value. You get a good quality product for the money backed up by the massive Piaggio Group owning the Spanish Derbi arm. Secondhand prices are really good. 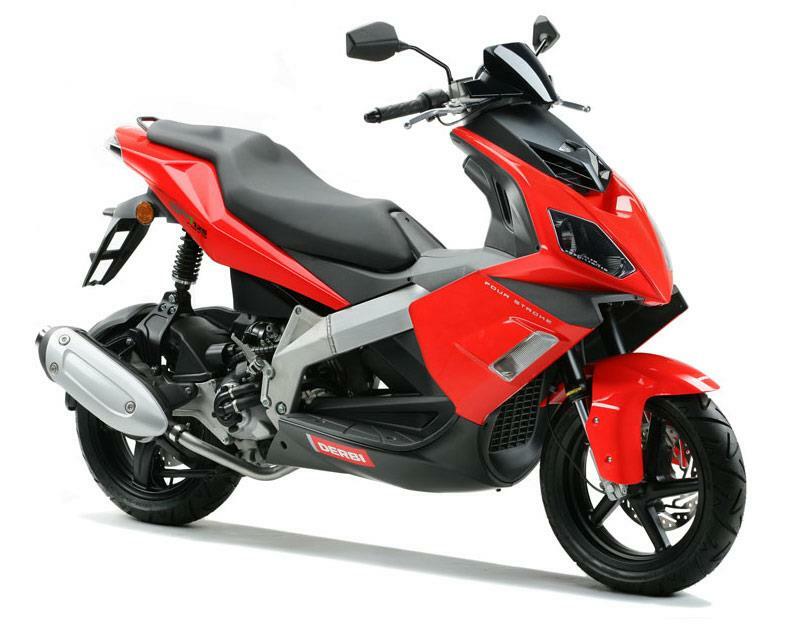 Find a Derbi GP-1 for sale. A fair bit of storage available with room for a helmet under the seat (not all lids fit so check yours does), a lockable glovebox with 12v charger outlet and two small cubbies by your knees which have rubber flaps to cover them and don’t lock. Later twin shock models had a little more room under the seat. Dash has a fuel gauge and usefully has a second mileage reader that starts up once the fuel level reaches reserve. 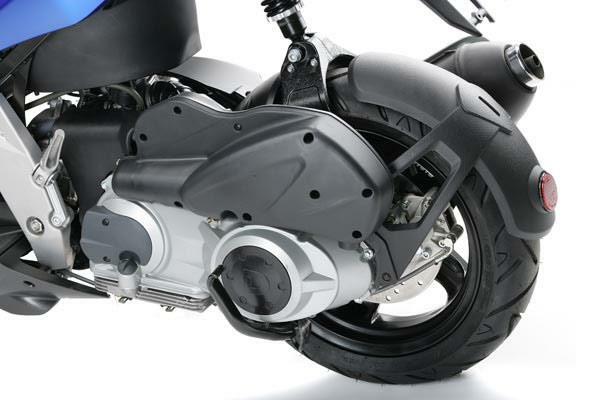 Compare and buy parts for the Derbi GP-1 in the MCN Shop. 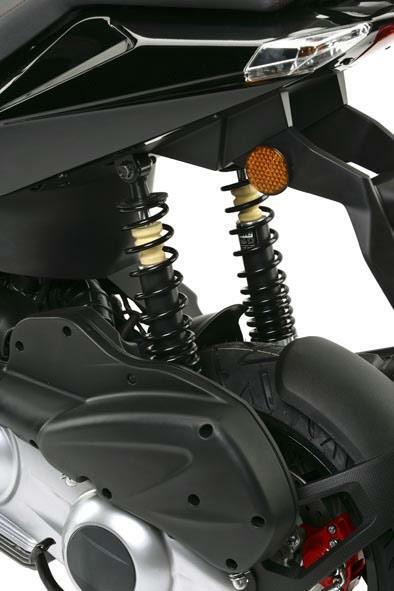 Minor updates for 2008 including twin rear shocks replacing single shock. No owners have yet reviewed the DERBI GP-1 125 (2006-on).